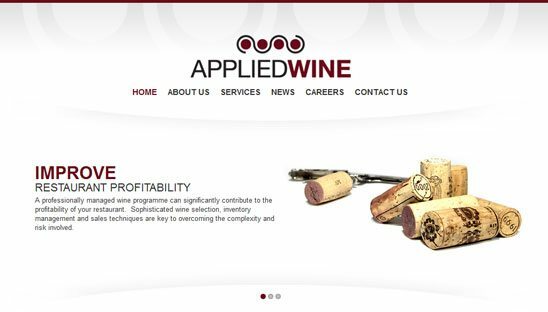 Applied Wine aims to help restaurants in Hong Kong satisfy the increasing customer demand for great wines as part of their dining experience. Our team of sommeliers and service staff is dedicated to providing the highest level of service and success for our clients, and to further developing the wine market in Hong Kong for consumers and the wine business overall. We went with a very clean and minimal design for this wordpress project. Our favorite thing we designed was incorporating the social network icons into the logo (see bottom right of site).